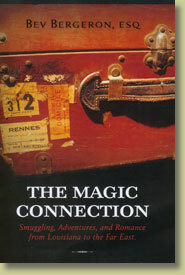 One of the few creative minds in the world of magic"
The Magic Connection is an old fashioned adventure story set in a traveling illusion magic show touring the Orient. It's a story of romance and gold smuggling in the Far East, based on true happenings and the telling of untold stories that happened before the beginning of World War II. Join our master magician as he cons his magical way across the Orient, outsmarting the USA, British and Japanese Governments with a shipload of gold. "I started to read your Magic Connections book last night thinking I would finish it in a few days. I became so involved in the adventures of the traveling troupe of entertainers that I spent the entire night reading until this morning - I finished the book. A great story – a must read." 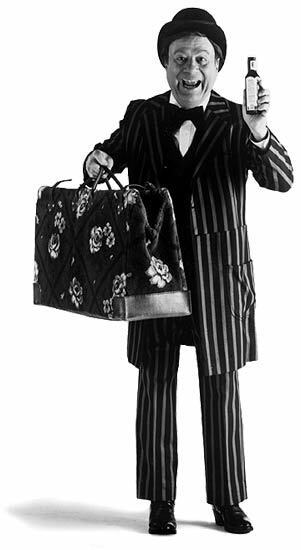 His lifetime of entertaining includes 15 years of performing 5 shows a day at Walt Disney World Diamond Horseshow Review, early national television fame as REBO on The Magic Land of Allakazam (CBS and ABC-TV), as well as over 16,000 shows. Writer of books and material for the top magicians of the world; creator and inventor of major illusions and hundreds of magic effects. Author of three books: Tony Marks - Aristocrat of Deception, the first time disclosure of a famous act with details of his magic and his life; Willard the Wizard, a thoroughly researched look into early 20th century magic shows which has been used by the Smithsonian Institution; and Magic Connections, a a magic-themed novel adventure. Producer of two videos on magic and the art of clowning. And now we have three new video collections: two historical DVDs of Bev's material and a look back at Disney's Diamond Horseshoe Review, of which Bev was a part. Available for Meetings, Conventions, State Fairs, Sales Promotions, any event where a quality act meets your entertainment needs.